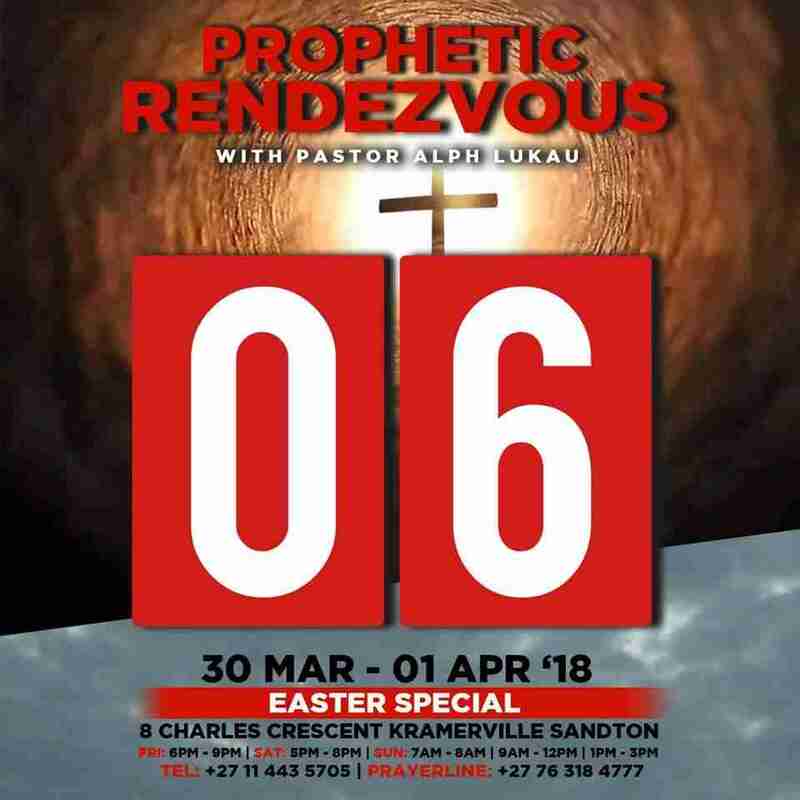 Join : Pastor Alph Lukau , Prophetic Rendezvous – Easter 2018 , 6 days to go! Bless your family this Easter by bringing them to the house of God. Jesus Christ ROSE UP on the 3rd day. I decree and I declare; your finances will RISE UP. Your health will rise up. Your dreams will rise up. Your marriage will rise up. AMI is an International church. This Sunday we are streaming LIVE from our Jerusalem to all our branches. Partake of this movement. The church of God is PRAYING. This Sunday the Lord will manifest Himself in your life like never before. This Sunday (tomorrow), there will be a tsunami of miracles in the house of God. If you need healing you will take it, if you need deliverance or breakthrough, if you need your marriage restored you will take it. Your FAITH gives God no limit. Whatsoever thing you want may God GIVE it to you as we obey His word! NAMIBIA 🇳🇦!!! We’ve had powerful services before but this one is THE service you MUST be part of. The Oracle of God in our time, Ps ALPH LUKAU will be in the main church in Sandton, Johannesburg but Streaming Live and prophesying directly to us in NAMIBIA 🇳🇦!!! GOD will prove to us that there’s no distance in the spirit when it comes to the prophetic. Don’t wait to be told, you should have been in the service; BE THERE! My name is Mike Songiso; I warmly invite you all in JESUS’ name to to Come and Experience God with us this Sunday 25th March 2018 at AMI NAMIBIA. Please Invite your family and friends.